In recent years, sequential quadratic programming (SQP) methods have been developed that can reliably solve constrained optimization problems with many hundreds of variables and constraints. These methods require remarkably few evaluations of the problem functions and can be shown to converge to a solution under very mild conditions on the problem. 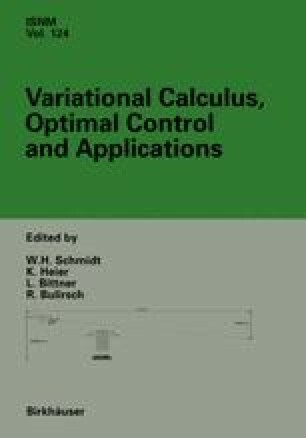 Some practical and theoretical aspects of applying SQP methods to optimal control problems are discussed, including the influence of the problem discretization and the zero/nonzero structure of the problem derivatives. We conclude with some recent approaches that tailor the SQP method to the control problem. This research was partially supported by National Science Foundation grants CCR-95-27151 and DMI-9424639, Office of Naval Research grants N00014-90-J-1242 and N00014-96-1-0274.